This year, when Gallic pop maestros Phoenix decided to do three multi-day residencies in selected cities — Paris, New York, and Los Angeles — the quartet also chose to use that opportunity to champion a handful of emerging French and Italian artists as their support acts. 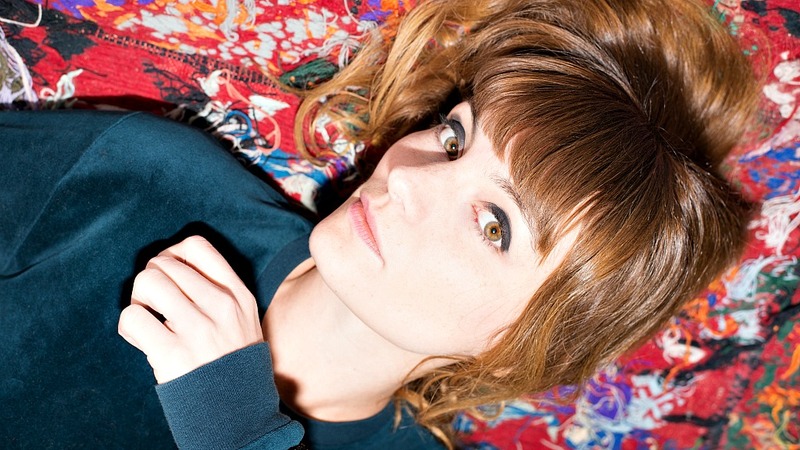 For Phoenix's five shows at La Gaîté Lyrique in the City of Lights in late May, one of those fortunate young musicians opening for the band was the Auvergne-born, Paris-based singer and songwriter Maud Nadal, who records as Halo Maud. Nadal, an alumnus of Melody's Echo Chamber and Moodoïd, released an impressive debut album this spring called Je Suis Une île — translated as I Am an Island for those with non-existent French skills. Her bilingual kaleidoscope of ethereal psychedelia and adventurous, synth-swept dream pop recalls early Björk, PJ Harvey, and Cocteau Twins via arresting tracks like "Surprise," "Baptism," and the gorgeous "Tu sais comme je suis." Nadal gently masks bittersweet lyrics in buoyant arrangements, as airy as candy floss, but there's a toughness to her tenderness too. That audacious magic of contradictions is what she admires about her friends in Phoenix too — as she discusses in "Five Essential Phoenix Songs" for FUV Essentials. I'm in an "end of summer" atmosphere, so I like the chords line that could last forever (and that actually last a while at the end of the song). The harp arpeggios are melancholic and sweet in the same time. This is an instrumental track, and some parts sound a bit like an old French movie soundtrack. The introductory chimes and the amazing double saxophone solo are fun and audacious. We all need to be more fun and audacious — and not only in music by the way. I like the title too! I like the mix of the acoustic guitar and the hip hop beat. The production is a lesson. It sounds simple, refined, but there is a lot of tiny elements of sound that make the groove perfect. This is so Phoenix! The guitars' sound and playing, Thomas's phrasing, and everything in this song is joyous. I admire them for managing to do light, comforting, dancing and good music. They do an amazing live version of this song, playing with these kind of filters that create big contrasts between moments of suspense and explosive parts — everybody is going crazy and dancing in the crowd. It is so good to see them playing and having fun as much as the people in front of them. I think they are the most generous band I have ever met.